Beyond the cut: making existing CSS visible to analyze it. I was going to do tables -> CSS next, but that will have to wait. 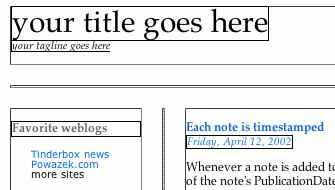 I need to get the stylesheet ready first. 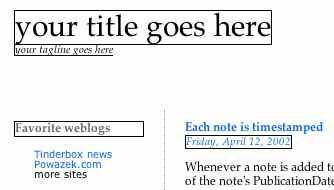 This page contains a single entry by Scott Price published on May 3, 2005 12:32 AM. Syndication! was the previous entry in this blog. DokuWiki is the next entry in this blog.